Child Support Attorney | Snellville | Harold D. Holcombe P.C. 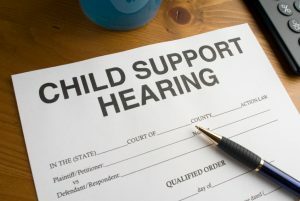 Generally speaking, the non-custodial parent of a minor child pays child support in the State of Georgia. However, both parents are legally obligated to support the child. Child support, believe it or not, is calculated using a Microsoft Excel spreadsheet developed by the Georgia Child Support Commission in accordance with the laws of the State of Georgia. We calculate child support based on both incomes of the parties, along with other information. Generally, we key in the gross incomes of the parties, along with other important information, such as daycare expenses, insurance expenses, and so on. The presumptive amount of child support can be changed due to deviations granted by a court. For example, if the Father spends 50% of his time with the child, the Father may receive a parenting time deviation. Another example might be if the Father is paying child support for another child. That amount can be deducted directly from the gross earnings and can help to lower the amount of child support to be paid. If you are unmarried in the State of Georgia and you father a child, you have no access rights to that child. To have access rights (visitation or custody) you must legitimate the child by filing a case in the Superior Court in the county where the mother is located. It does not matter if your name is on the birth certificate. In some cases, you can “administratively” legitimate a child at birth, but that’s rare. If your name is on the birth certificate, it simply creates a legal presumption of paternity that will enable the mother to get child support. If you have been charged with child abandonment, that’s a criminal charge that could result in your incarceration if you try to avoid it. First, is it your child? Secondly, if it is your child, are you supporting it? Get a DNA test, and if it is your child, then start supporting it monetarily immediately. Then, proceed with a legitimation action so that you will have the legal right to parent your child. For mothers who wish to receive child support, you first have to have a child support order that positively identifies the father and sets an amount of child support. You can go to the local child support services to get that done or hire a private attorney. However, you cannot get child support without an order; therefore, there is generally no provision for collecting back child support. In some cases, you may petition for “necessaries.” For example, after a baby is born, you could seek reimbursement for all or part of the medical expenses and costs that occurred for the care of the child. In any of these cases, as well as countless others, you need to seek the advice of a family law attorney. This process should begin as soon as possible after the baby is born so that you won’t lose those funds necessary to rear your child. You are never alone in this confusing process–turn to a trusted child support attorney for clear and effective legal counsel. Child support issues can be difficult to understand, and it is important for you to know your rights. Harold D. Holcombe P.C. proudly serves Gwinnett County clients who are facing child support disputes. Contact our Snellville office today at (678) 344-0116 to receive clear and quality legal advice from a trusted family law attorney.